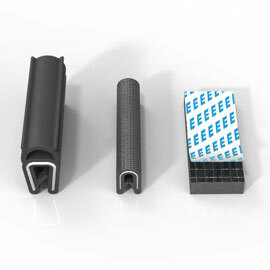 The future presented on 280 m2: At HANNOVER MESSE 2019 EMKA presents the entire portfolio of electronic locking systems including several new solutions. 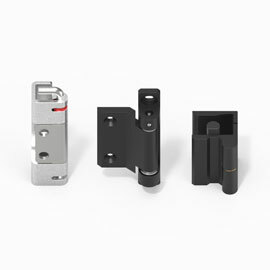 In addition to further developments such as the eCam Safety or the Agent-E as well as proven products from EMKA's portfolio of single-point and multi-point locks, the trade fair presentation will focus in particular on the range of full locking systems including monitoring features for switch cabinets and server cabinets. Those interested will find the global market leader at Stand D30 in Hall 12 for the first time this year. EMKA has further developed its proven eCam solution in the new eCam Safety variant especially for the field of mechanical engineering. The eCam secures doors and flaps in risk areas such as those surrounding switch cabinets or machines. 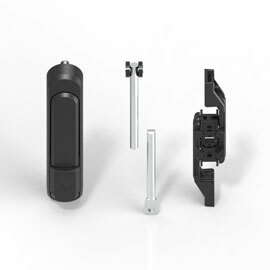 The standard door Cam latch and the electronically controlled eCam tongue lock are electronically monitored and controlled to prevent unauthorized opening. eCam Safety is now TÜV-certified. The new version of the eCam includes redundant sensor elements to achieve the performance levels specified in the EU machinery directive. 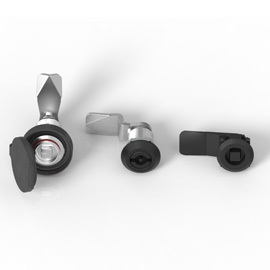 The Agent-E is therefore one of the tried and tested long-lasting products in the EMKA portfolio of electronic locking solutions. In combination with the EMKA software, the electromechanical handle with wireless technology enables controlled access for authorised persons. The technology monitors and logs every opening and closing process. EMKA has now equipped the further developed Agent-E with an optical push-button, thus once again significantly optimizing its user-friendliness. In addition, two new optional reader modules have been added to the system so that additional card types can be used for ID card authorization.